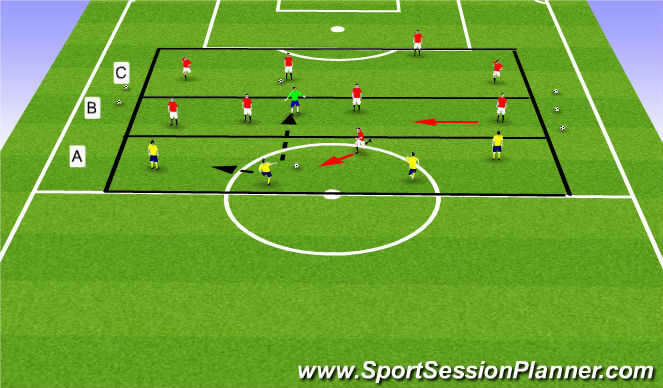 Yellow pass to each other keeping the ball away from Blue Defenders. When the opportunity arrises they try and play a ball between defenders and across the Grid. Blue Defenders try and win the ball back from Yellow&apos;s while staying compact and not allowing the ball to be played between them. Make the Grid bigger / Smaller. Limit yellow to 2 or 3 touch. Yellow are to pass the ball within their grid. Once the opportunity arrises try and play the ball along the ground to Grid C either between Blue defenders or around them. If successful red team repeat same. Blue Team (Defenders) are allowed 5 x players on the pitch at one time. 4 x players are to stay in Grid B while 1 player can defend in Grid A or C.
Player can rotate and change who is grid A or C at any stage. 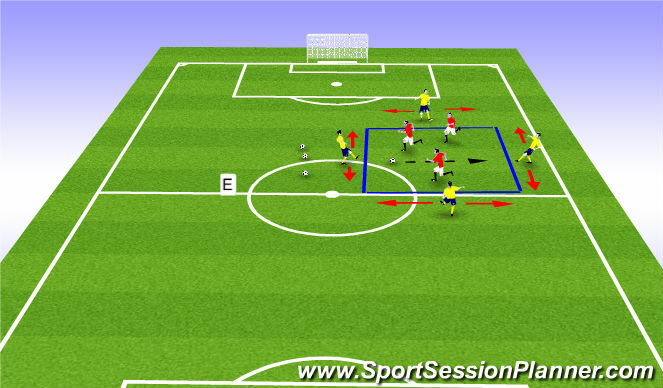 Team Task: Stop the ball from being played between you and your team mate to the opposite side. make the ground as small as possible. Use you body shape to cut off passing lanes. 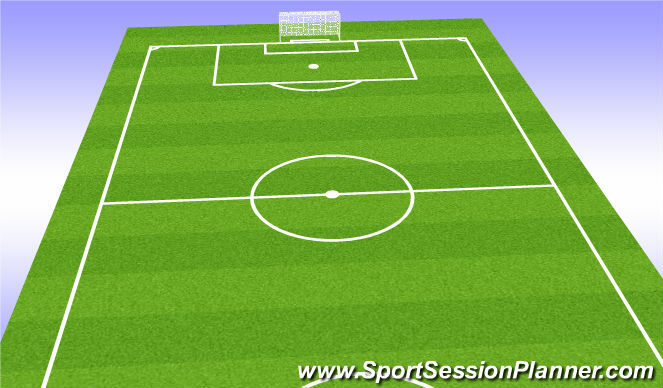 If the ball is on the right side of the field the far defender should be in the center of the ground. Yellow team score in large goal. Players to be level with or above flags. Yellow team play ball along the ground as much as possible. 2,5 - Deny foward passing opotions by closing the ball carrier. 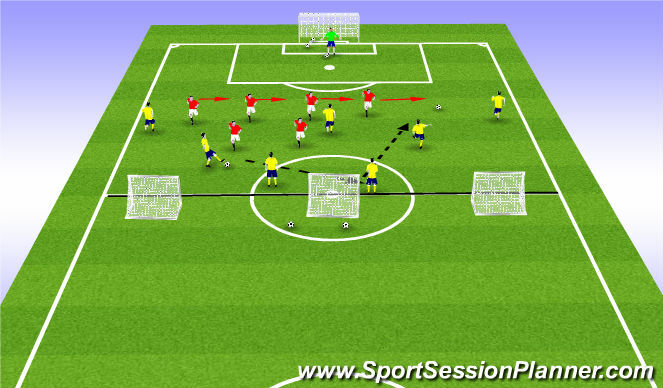 GK - Bre in a position to defend a forward pass behind you defenders. GK - Communicate verbaly by encouraging your back for to stay compact and slide at the same speed. 3,4- If the ball is central, can we arc ourdefensive approach to force the opponent towards a teammate to create an evennumber situation? 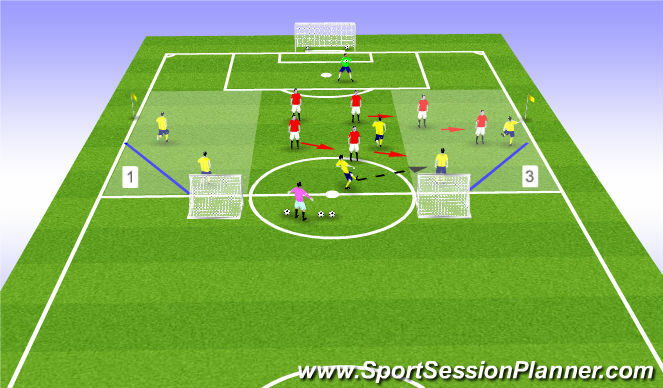 GK- When the ball travels, be in a position self to sweep behind the defensive line? 6,8- If you are the closest defender close the ball to deny a forward pass.